IFLA Members should login here to access their Public Profile information. Non-members who wish to know more about the IFLA Arbitration Schemes should visit the What is Arbitration? or FAQs pages. Our training provides an understanding of the elements of Family Arbitration and promotes the use of Arbitration to resolve disputes on financial and property matters arising from marriage breakdown. Waiting list now open – Register here. 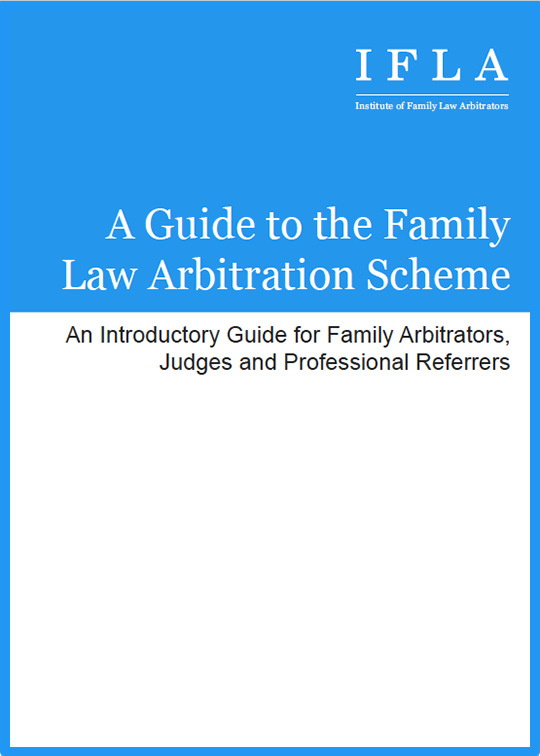 Our Guide for Practitioners is for family arbitrators, judges and professional referrers. The document explains the arbitration process, which clients it is suitable for, and the legal framework. On 30 March 2017, His Honour Judge Donald Cryan, delivered a lecture titled, “Family Arbitration, The First Five Years and Its Future” at City University.